There will be an interest meeting for all that are interested in playing baseball in the spring. It will be held on Wednesday, September 5th at 3:45pm at the baseball field. 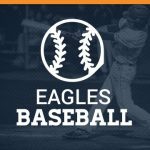 South Cobb Baseball Tryouts will take place January 16th-17th right after school at the Baseball Complex on Austell Road. You must have a 2017-2018 physical on file to tryout. Athletic Physicals can be found in the attendance office. Contact Mark Deroux at mark.deroux@cobbk12.org if you have any questions.